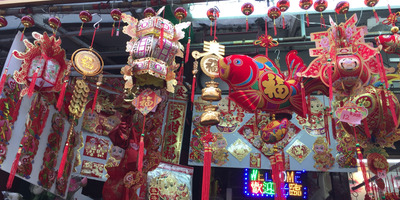 New York City’s Chinatown has a rich history. It’s one of the oldest Chinese neighbourhoods outside of China. 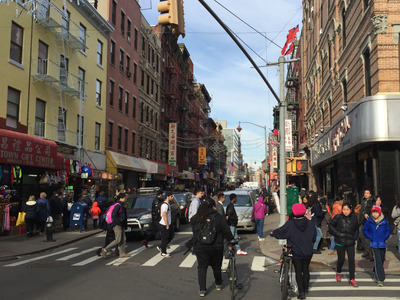 Canal Street is Chinatown’s main street. The neighbourhood spans from Broadway to Essex street in lower Manhattan. It has a population of about 70,000 – 150,000 people. 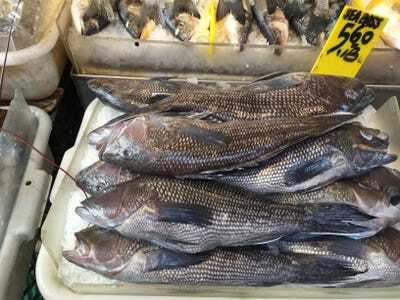 It has a variety of grocery stores, markets, restaurants, and street vendors. 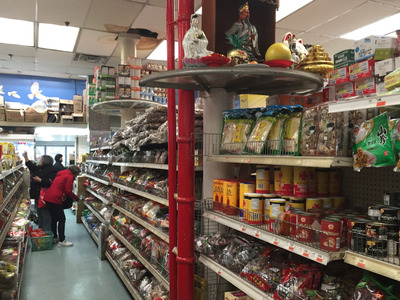 I was curious about Chinatown’s grocery stores and what kind of brands I would find there. I even tried a few wacky flavored candies and chips. 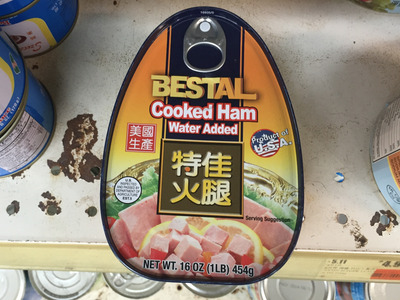 Here’s what I discovered when I went to Chinatown. 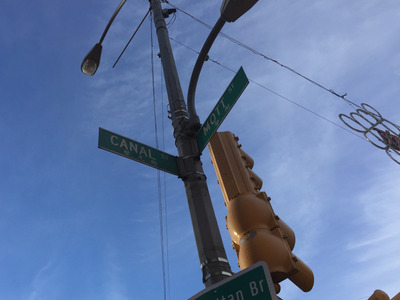 I walked out of the Canal Street subway station and was immediately bombarded with street vendors asking me to buy knockoff designer handbags. I weaved my way through the crowd, on the lookout for any kind of grocery store. 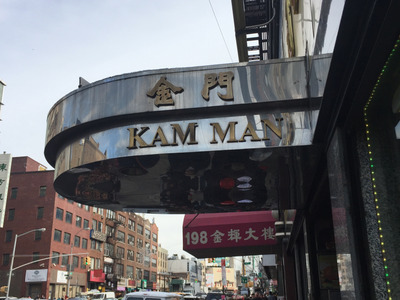 I came across a grocery store called New Kam Man on Mulberry Street. There was a rush of people filing in and I was nervous I would have to wait in line to walk through the store, which is typical of some supermarkets in Manhattan. It was bigger than I thought it would be. It's a three story grocery store filled with Asian, American, and European products and brands. 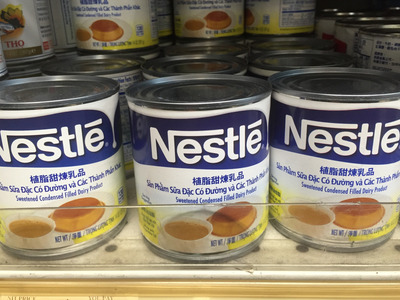 Most of the American brands are labelled in Chinese. 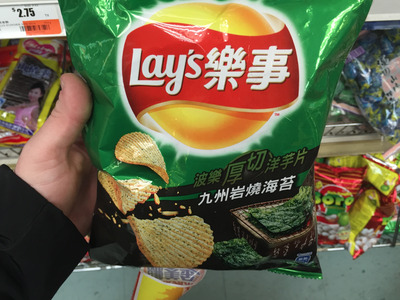 The American brands' products come in unusual flavours, such as these Frito Lay's seaweed-flavored chips. I was curious to try them. It tastes like what I imagine a gulp from the ocean might taste like -- salt, seaweed, and all. This soft version of Oreo cookies tasted pretty bland. The cookies didn't have a lot of sugar, and I almost didn't notice the cream filling in the middle. I'll stick with regular Oreos. 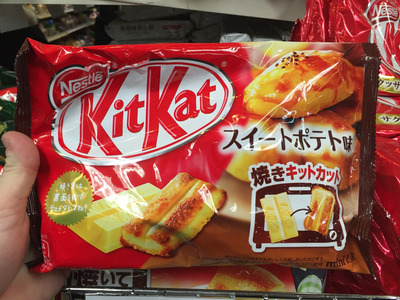 Here's a version of Nestle's Kit Kat that was produced in Japan. 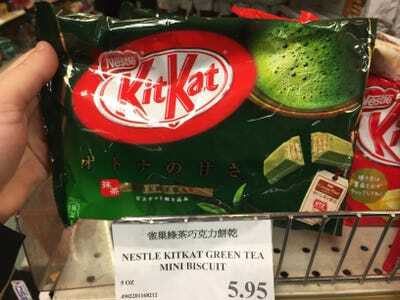 Green tea flavored Kit Kats are popular in Asia. This wafer had a strong Matcha green tea taste. 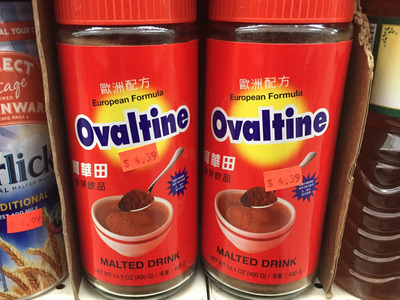 It had a strange aftertaste, so I wasn't really a fan of these. 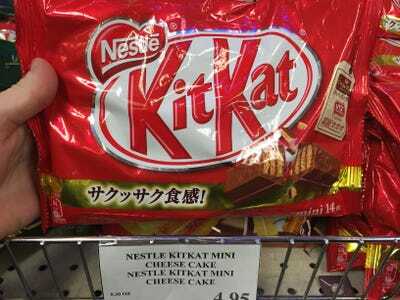 Kit Kat bars also came in a cheesecake flavour. These were pretty good, although I wouldn't say they tasted like cheesecake, more like lemon meringue pie. 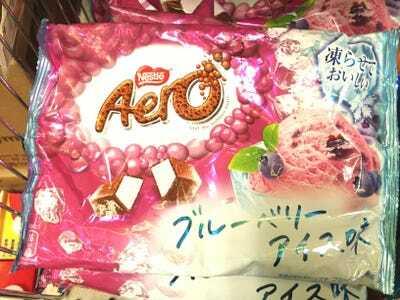 Nestle's Aero has a blueberry ice cream flavour that's produced in Japan. It's an interesting twist on the bubbly chocolate treat. These tasted like Neapolitan flavored ice cream. 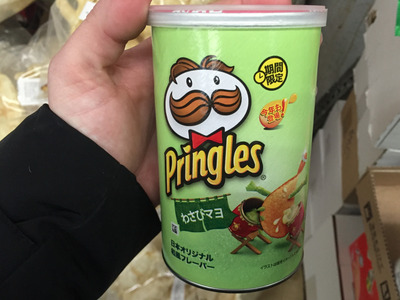 Here are wasabi mayo flavored Pringles. I personally like wasabi, so I thought these were delicious! I would make special trips to this supermarket just for them. 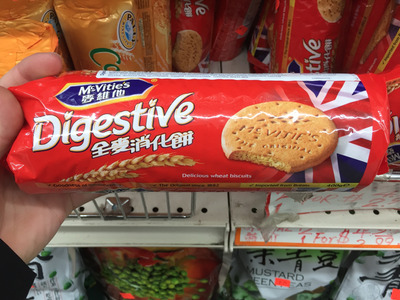 I also found British brands that were adopted by Asian labels, such as Digestives. 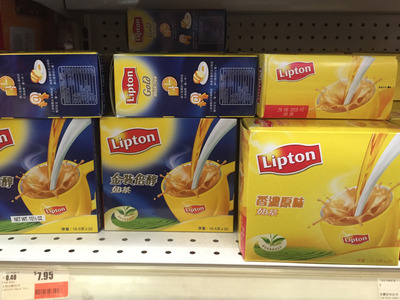 The store sold Lipton milk tea. 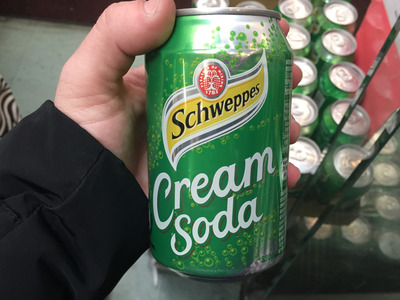 I didn't know that Schweppes made a cream flavored soda. 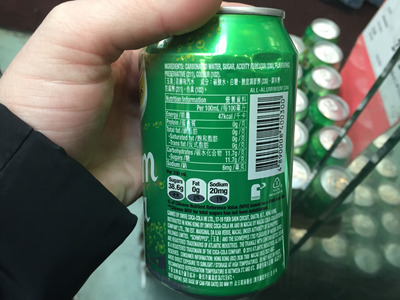 The label is in Chinese and shows that this drink has lots of sugar. I have a sweet tooth, but this is too much. 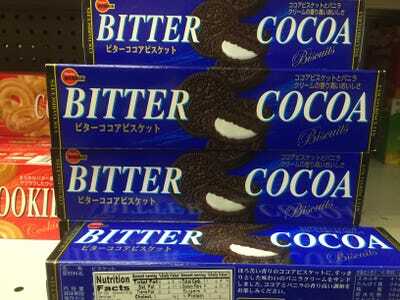 I found the Japanese version of Oreos. 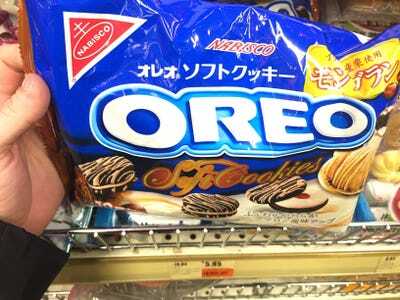 These had more flavour than the soft Oreos; they tasted almost identical to American Oreos. These 'Bitter Cocoa' cookies were not bad. Hello Kitty is featured on lots of products in the store. 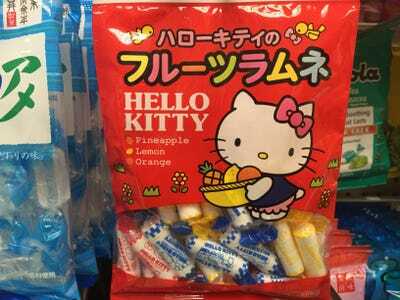 I found Hello Kitty candy, cosmetics, and accessories. 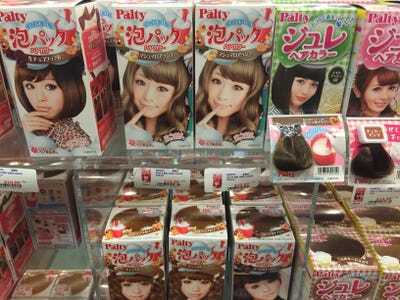 Here are some hair colouring products displayed in the beauty section of the grocery store. 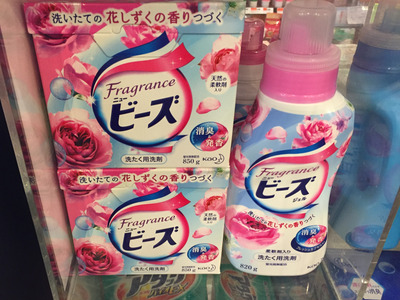 I didn't find any American brand cleaning supplies in the supermarket. The meat section is a little unorthodox for a traditional grocery store. 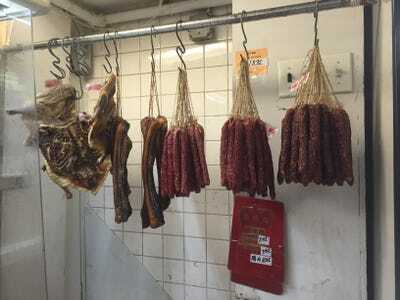 I found this meat hanging in a back corner. 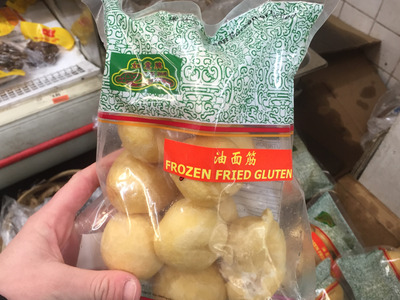 I also came across some interesting items that I wouldn't typically see in American grocery stores, such as frozen fried gluten. Gluten-intolerant people, beware. 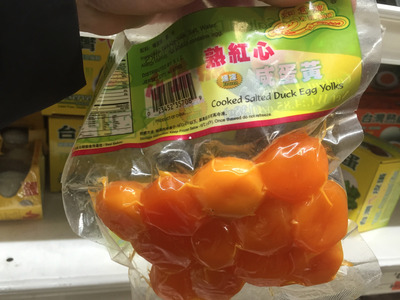 Here are cooked salted duck egg yolks. I wasn't willing to try these. Then there was the seafood section, which was filled with whole fish, lobsters, crabs, shrimp, and clams. This part of the store had an extremely pungent seafood smell, probably because the seafood wasn't enclosed by a glass counter. I noticed that there wasn't a produce section in the grocery store. That's probably because there were vendors selling fruits and vegetables on the street. 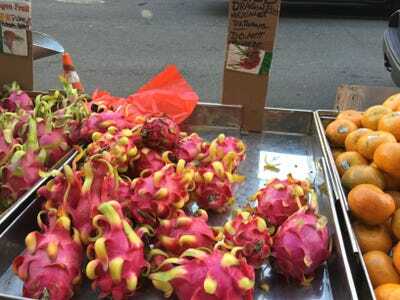 Here's some beautiful looking dragon fruit. 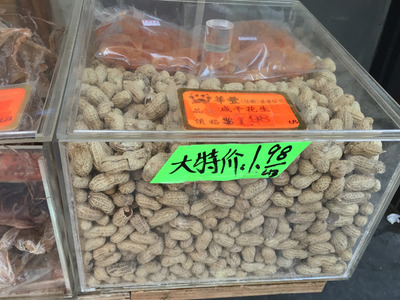 I came across a stand that sold various nuts. 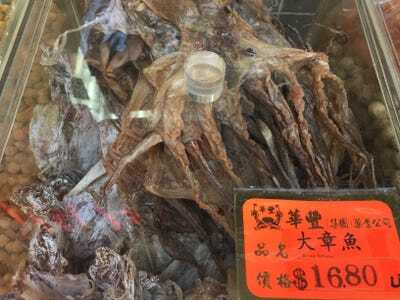 I also saw dried octopus! I wasn't too keen about trying this; even the look of it scared me. I've been to Chinatown before, but this was my first time exploring the grocery stores and outdoor markets in the neighbourhood. Even thought I live in New York, it was a culture shock. Most of the workers in the store didn't speak English very well, and I couldn't read most of the labels. It was a very authentic experience. 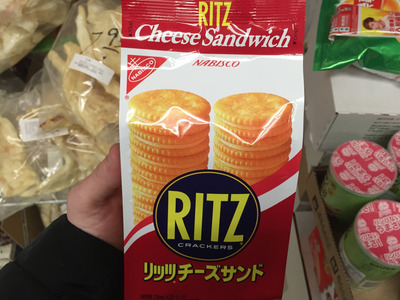 I can only imagine what the grocery stores in Asia are actually like.